Our supplier Dart Products Europe has launched Solo® Event+® tumblers and lids, which are made from rPET, reducing the amount of virgin material used, which helps to minimise the impact the product has on the environment. What not everyone knows is that due to its value, PET is the most widely recycled material in Europe and in the UK. According to the RECOUP UK Household Plastic Collection Survey, PET is recycled by 99 per cent of local authorities. Not only does Solo® Event+® benefit from all of the above, but it has also been designed to use less material while being functionally fit for purpose. 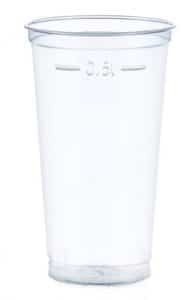 This means the new range of tumblers and lids further reduces the impact to the environment. Solo® Event+® tumblers and lids cater for any occasion and market, such as convenience stores, sports stadiums and any outdoor events or festivals. Whether you are serving up an enticing ice-cold carbonated drink, juices, vibrant mocktails or delicious smoothies, Solo® Event+® creates an appealing product presentation whilst giving operators an opportunity to do their part for the environment. The tumblers are available in four different sizes; 250ml, 300ml, 400ml and 500ml (8.8oz, 10.6oz, 14oz and 17.6oz) with a one lid solution that fits all sizes. The lid interchangeability reduces storage requirements and increases operational efficiency. 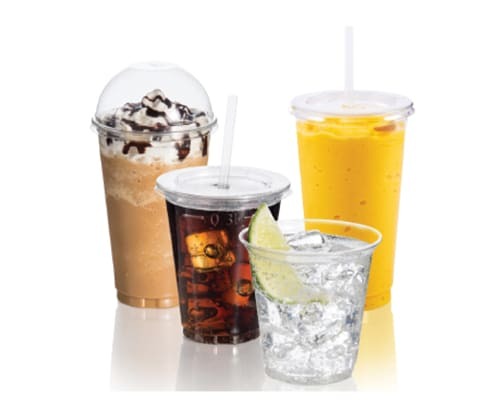 The lids are available in two different designs, a straw slot flat lid and a newly introduced dome straw slot lid providing the benefits of enhanced drink safety and hygiene. Solo® Event+® also offers an enlarged print area which can print up to eight colours; why not show off your promotional activities to their full potential by making the cup a walking advertisement with our custom print service. For more information on Solo® Event+® rPET tumblers and lids from Dart Products Europe, contact Bunzl Catering Supplies today. Kraft Food Containers and Lids, perfect for the winter season! Our supplier KeCo Foodservice Packaging Ltd. has released a range of Kraft Food Containers and Lids. According to Google, the fame of Vietnamese food has been increasing every year for the past decade. New independent sales figures reveal that retail sales for Fairtrade grew by 7 per cent in 2017.